The Announcement To End All Announcements! Well, at least until the next one. Marvel made an announcement yesterday that I've taken a day to let soak into me like a fine marinade inside some meat. Well, I guess it is more like a borrowed marinade because didn't DC just do a big event that led into a relaunch around the Fall of 2011? 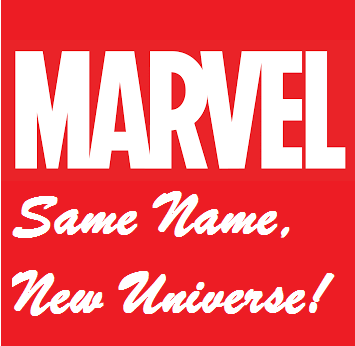 I'm kidding, sort of, because depending on how you read what Marvel has claimed, this could mean something as simple as the regular Marvel-U and the Ultimate Universe combining in some fashion. Then again it could be an utter gigantic reboot or maybe it's all a ploy and things won't change much at all. You see, Marvel has this event called "Secret Wars" going on, and it will involve a bunch of various alternate realities we know and love being smashed together for the event and...battling it out, I guess? Really, the details of everything aren't yet super-clear. It all builds out of a the current run of certain "Avengers" comics that have had the heroes dealing with the fact that every once-in-awhile two alternate-reality worlds will have an "incursion" and if one isn't destroyed they both are. 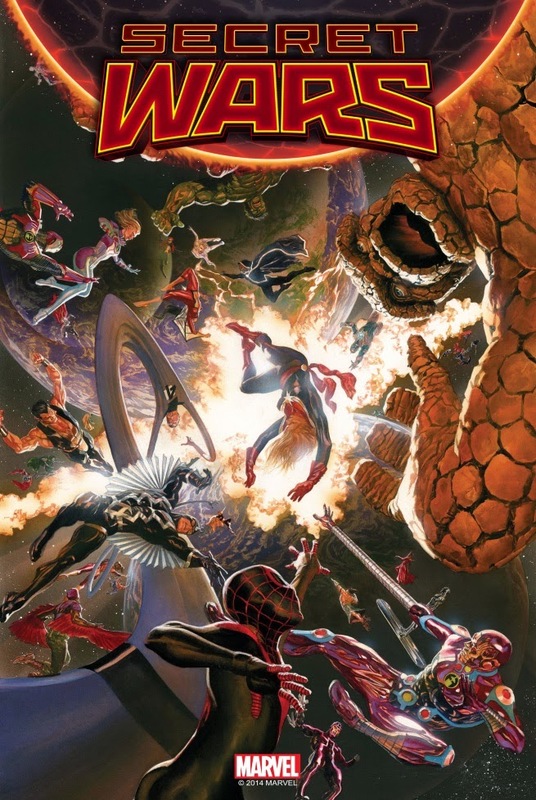 Our Marvel heroes have been dealing with the incursions by basically becoming monsters and destroying innocent worlds, but as I understand it when the Ultimate Universe and the normal Marvel Universe (also known as 616) have an incursion something happens that results in the aforementioned Battleworld and gives us "Secret Wars", which Marvel is calling the event to end all events. I can see this going a few ways. Perhaps this would lead to something amazing. Perhaps Marvel is going to do this event, and give us a Marvel Universe that isn't necessarily a reboot, but has tweaked enough things that it opens the possibility for even more great new comics and stories (as I was just recently saying are needed) ushering in a golden age of creativity and joy. This is the ideal situation so it is the one I doubt will occur. I'm sure he will be back soon-ish. Marvel has this big event, and in the end not much has changed. Perhaps some questionable stories are scrubbed from continuity, and a number of the Ultimate Universe characters get melded into the 616 Universe because that line is pretty unprofitable at this point and most likely is going to destroyed/no longer have issues made of it. 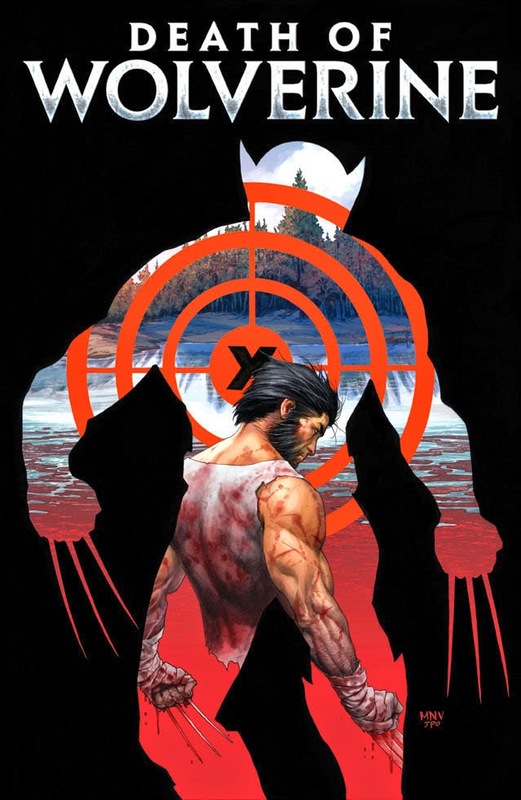 We get some characters Marvel has recently killed brought back (hello, Wolverine) and perhaps kill-off some characters who will undoubtedly be brought back at a later date, but if they die it'll make things more, "dramatic." I'm unsure what exactly would happen, but my thinking is that despite changing some stuff in the end not that much will be altered. I can see this easily occurring. Marvel could do a dramatic re-boot where the world is basically brand-new or has a lot of its past history altered (kind of like the New 52 where some stories "count" and others don't). Marvel could do things that result in better multi-media opportunities, such as taking the Fantastic Four and writing them out of the Universe (I mean, this is the group Marvel has been phasing out to spite Fox, it wouldn't surprise me if they ceased to exist, at least as we currently know them). Hell, maybe Marvel will get rid of mutants (along with the current X-men) and make everyone an Inhuman so that they can make movies with those characters (hello, Inhuman-version of Wolverine which Marvel would theoretically be able to use in their flicks)! This all feels unlikely, but also quite possible depending on what Marvel is thinking for the future, and what their boss-company (Disney) wants. After all, if we are honest, Disney cares more about what they can do with the Marvel films than the comics, so if changes in the comic-line make it possible to get more bucks from the flicks, those changes will probably happen. The question of if such a dramatic reboot would result in good comics or bad ones would take a bit to find-out, but at least it would be kind of fun to witness. 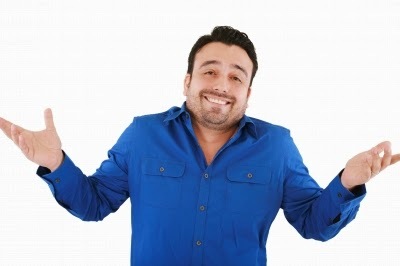 This man from a stock-photo site isn't sure what the future holds either. 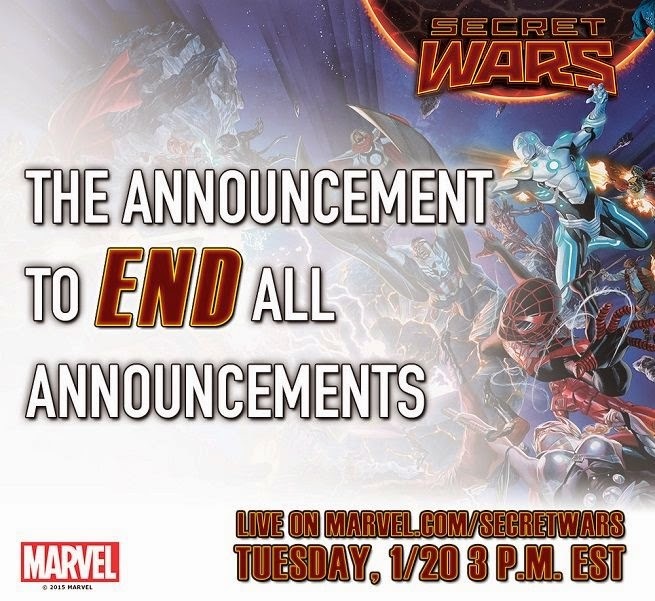 It is still too early to know what exactly "Secret Wars" will entail, and what the end-result will be. I imagine it will be interesting to see what the final product is, and whether we get something amazingly good, just like what we had before, or radically new and different is a question we'll hopefully have answered by the time Fall arrives.